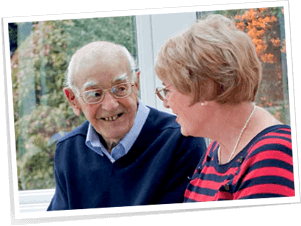 Age UK is the country’s largest charity dedicated to helping people in later life. We believe in a world where everyone can love later life. We help more than 7 million people every year providing support, companionship and advice for those who need it most. One of the fun ways to support Age UK’s charitable work is by playing our games. They’re quick and simple – you could win up to £2,000 in our Age UK Weekly Lottery, or a life changing £25,000 in our Quarterly Superdraw, plus many more! All net profits from our games go directly to support the charitable work of Age UK locally and nationally. Last year†, we funded 3,500 home energy checks through our Winter Warmth programme. The Age UK network also helped older people identify £212 million in unclaimed benefits. This is only a small sample of the work we do and, with the generosity of people like you, we can do much more to help make later life a better life for thousands of people. To date over £47.9 million* has been raised through the Age UK Weekly Lottery and this has helped us to campaign for better services and to provide help and advice to many people in later life.